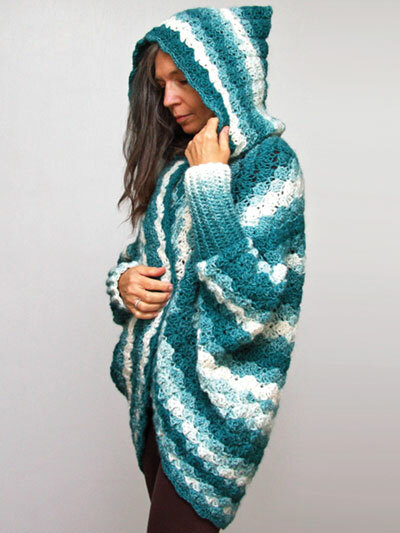 Warm, cozy and easy to make! This unstructured design features long, stretchy cuffs, lapels with button closure and a cozy, slightly oversize hood. 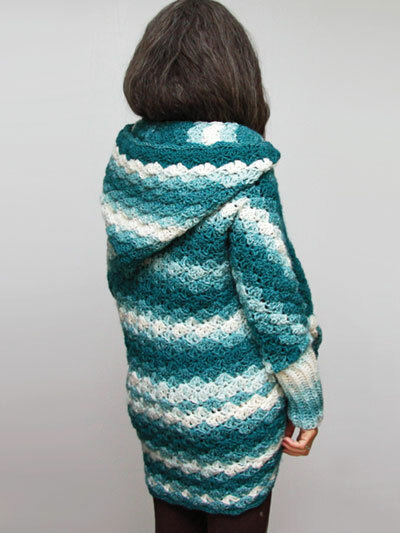 The beautiful ombre effects are created naturally by using a self-striping yarn. Design uses four skeins for size Small and 5 skeins for sizes Medium and Large of Lion Brand Scarfie, a bulky-weight yarn, in the color cream/teal. Size: Bust S 32 to 34 (M 36 to 38, L 40 to 42)".